As most small business owners know, accepting credit cards is a necessity in today’s competitive and fast-paced environment. Technology makes it easier than ever to accept payments from your customers. You can even use your cell phone or tablet if your business is mobile. While credit cards can be great for ease, they do pose some cons for business owners when it comes to fees—specifically chargebacks. Chargebacks were originally designed to protect customers from fraud. Unfortunately, chargebacks are sometimes used for “friendly fraud”. This type of fraud occurs when a customer receives a product or service, but contacts the credit card company to complain that the item was never received or they never made the charge. The credit card company will investigate the complaint and refund the customer if they find in his or her favor. If the complaint is found in favor of the seller, the business will still be charged a fee for the investigation. A January 2016 study found that 80% to 90% of successful chargebacks were resolved in favor of the customer. Customers sometimes have valid complaints about products and services that do warrant a chargeback situation, but what happens when your business requires appointments to book services and your customer is a no-show? Businesses such as salons, automobile repair shops, and hotels often have to deal with this very issue. Many businesses need to know the number of customers they will serve in a given day for planning and staffing purposes. When a customer doesn’t show up for an appointment, it is the business that has to deal with lost revenue. Many service industries require notice when a customer is not able to make an appointment or reservation. For example, many hotels will charge the equivalent of a one-night stay if the customer doesn’t give a 24-hour cancellation notice. Salons and spas often charge a cancellation fee for the same reason. This practice makes sense for many service-oriented businesses, because without notice you are not able to rebook the time slot or date with another customer. Put your cancellation policy in writing. If you allow online bookings, make sure your policy is clearly stated. For those who don’t use online reservations, it is best to have your customer sign a form that outlines your cancellation policy. Deal with issues in a timely manner. Contact your customer right away and explain why the cancellation charges are in place and why you will be disputing the chargeback. Purchase investigative technology to help you with disputes. Some companies offer businesses an online solution to customer service issues. The online platform may include case management, automated files, and email templates for your business to use. Online platforms can be costly though—around $550 per month. Look into a payment service option. One payment service option, known as Square, gives customers free protection for chargebacks up to $250 per month. According to Square, they will notify a business of a chargeback via email by posting to the business’s account dashboard. As an owner, you will have seven days to respond and, if Square determines you have followed their best practices, they will cover the chargeback up to the monthly limit. Chargebacks can be a frustrating battle—especially when your business is appointment or reservation based. Hopefully with these tips you will be able to cut down on hassles and find a little more peace when dealing with customer credit card disputes. This post was written by Deidre R., a Product Analyst in the Commercial Lines Marketing Department at Acuity. Deidre’s experience also includes nine years as an Account Manager at an insurance agency. She received her bachelor’s degree from St. Norbert College in De Pere, Wisconsin, and her master of organizational behavior from Silver Lake College in Manitowoc, Wisconsin. Her hobbies include volunteering and event planning for a local women’s shelter, yoga, crafting, reading, and biking. She also enjoys spending time with her husband and dog. Did You Know Hackers Can Infiltrate Your Network Via Fax Machine? 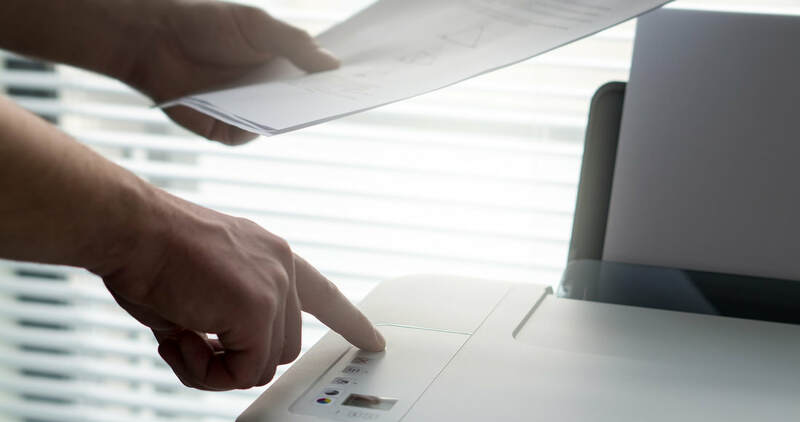 Fax machines seem to be a thing of the past for many new age businesses and professionals these days, but in reality, they’re still being used. In fact, according to Jive, more than 46 million businesses still use fax machines in some way or another. Typically businesses are still using fax machines because their clients still use them, potential government regulations or industry standards, proof of paper trail, convenience, and in some instances, fax machines are more secure. However, an Israeli cyber security firm, Check Point, recently discovered that hackers may be infiltrating businesses networks using just a fax machine number…which might not even be connected to the internet. The researchers at Check Point demonstrated that a hacker can execute a script that targets the victim’s fax number in order to obtain network access. According to the researchers, the attacker can then use EternalBlue, a NSA-developed exploit leaked by the Shadow Brokers hacker group, to further infiltrate the network and execute malware. Using the malware executed for this attack, the hacker can search and exploit specific information about the victim and send it back to the hacker’s fax machine. Additionally, the hacker can severely manipulate what gets sent and received. For example, if the victim sends sensitive account information to their bank, the cybercriminal can program the fax machine to send a copy to the attackers fax machine. The attacker can also tamper with the content included on the document being sent by altering the information to include or exclude what they to be attached to the document. It’s worth noting that having a cyber security insurance policy in place will protect your business in the case that your fax machine does get exploited by hackers. Contact Jon Jepsen at SentryWest Insurance for a cyber insurance quote.